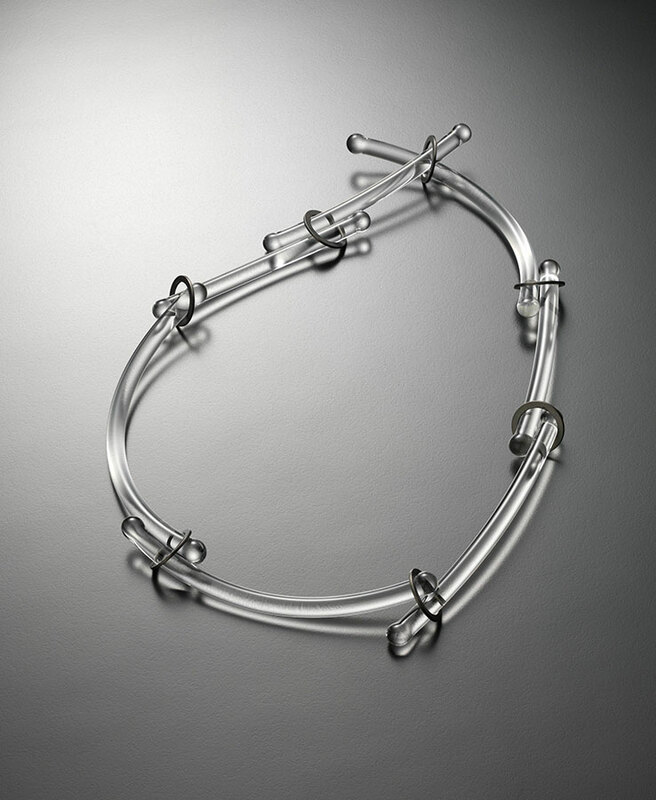 Australian artist Blanche Tilden creates impeccable works that combine the sensual possibilities of glass as a material for contemporary jewelry, with forms sourced from industrial modernity. Over her 25 year career, Blanche has been recognized for her innovative approach. Blanche is represented by Hedone Gallery. Her work will be featured at GlassWeekend at WheatonArts in June 2017 and at SOFA Chicago in November 2017. 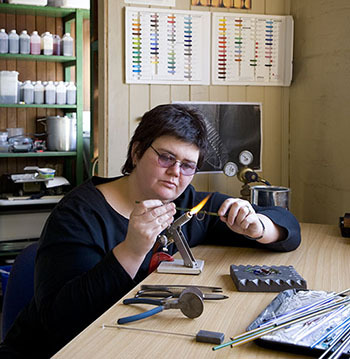 Blanche Tilden lives and works in Melbourne, Australia, where she creates distinctive necklaces, earrings and rings that combine studio glass with contemporary jewelry. 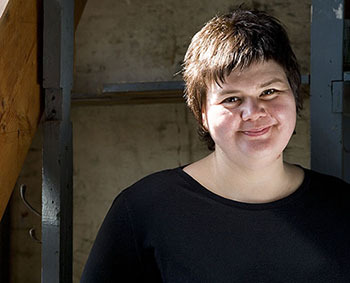 In her work, she balances a unique understanding of industrial and traditional materials with a sensitive interpretation of recurring design elements such as repetition, scale and transparency. 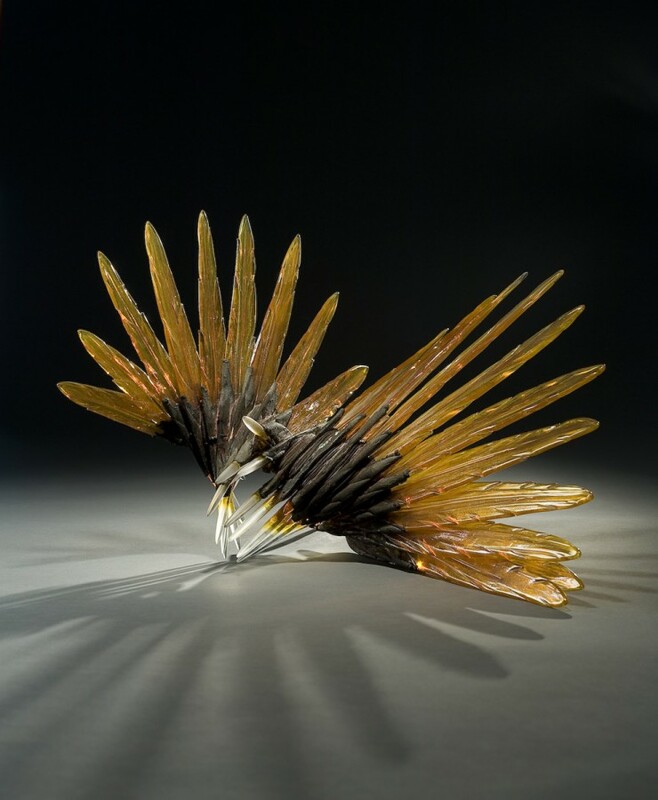 An early fascination with glass, nurtured by a high school art teacher, led Tilden to study at the School of Art, Australian National University, Canberra in the early 1990s, where she completed a degree in the glass workshop under Klaus Moje. Exploring the technique of flameworking borosilicate glass, she was eager to develop the potential of flameworking, particularly how, through the application of heat, glass could be manipulated to move from a solid to a liquid in a small scale that could be applied to jewelry. 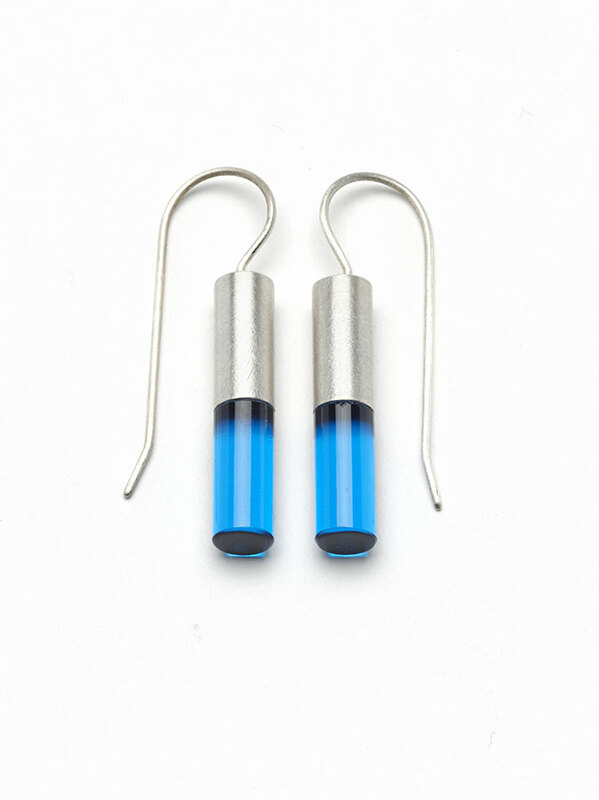 Borosilicate glass, an industrial material developed for making scientific apparatus, has a number of material qualities that made it an exciting material for jewelry – strong and shock resistant, it has a gem like sparkle, and can hold, transmit and refract light. 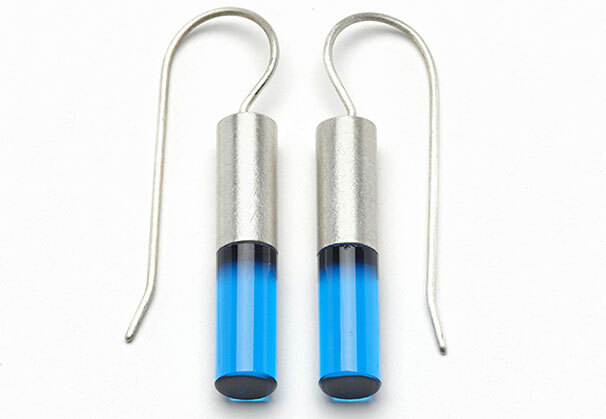 As she became more proficient in making small glass components, Tilden acknowledged a need to develop jewelry design and making skills, and so undertook further study, completing a graduate diploma in gold and silversmithing at the School of Art in 1995. 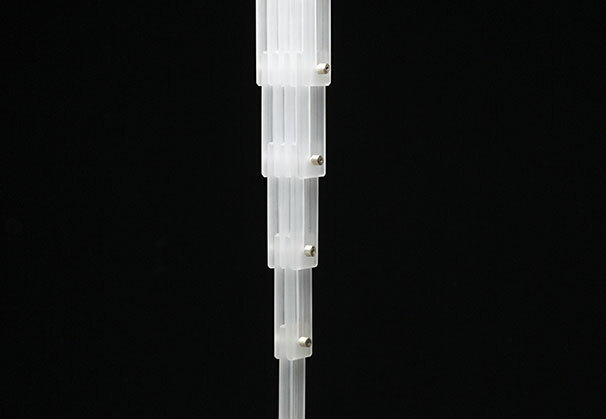 Under the guidance of Johannes Kuhnen, Tilden was influenced by the Bauhaus and a Post-War European design approach. 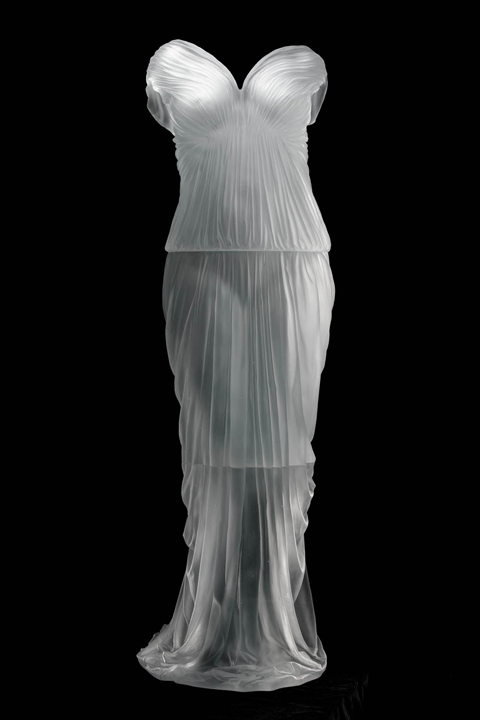 She began to swap and invert the traditional roles of materials. 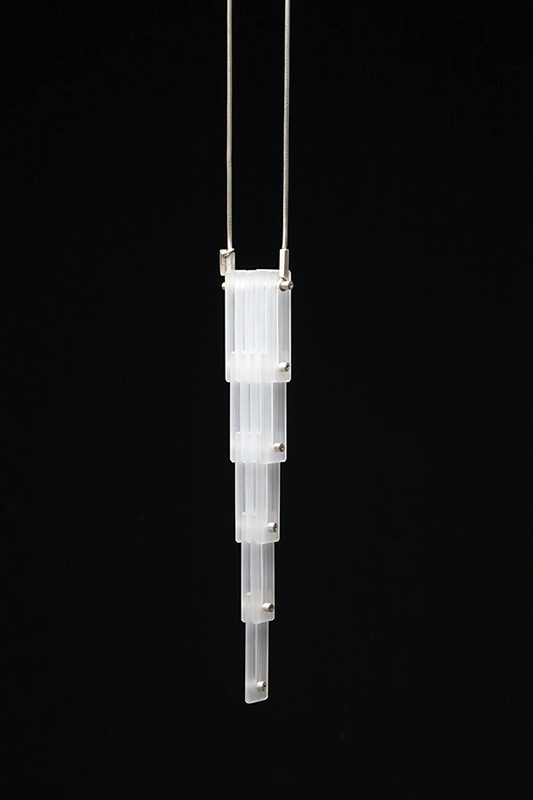 Rather than making glass beads that were threaded through a central hole, she treated glass as another metal, cutting tube into sections and flaring it using a lathe, or connecting metal components with solid glass rivets to make chains. 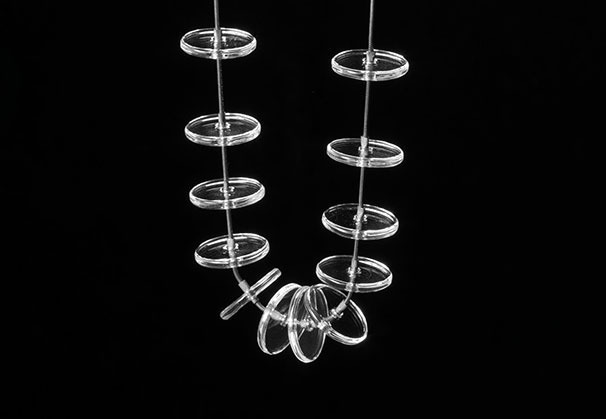 She exploited the heat resistant qualities of borosilicate glass, and directly soldered silver links around glass components. 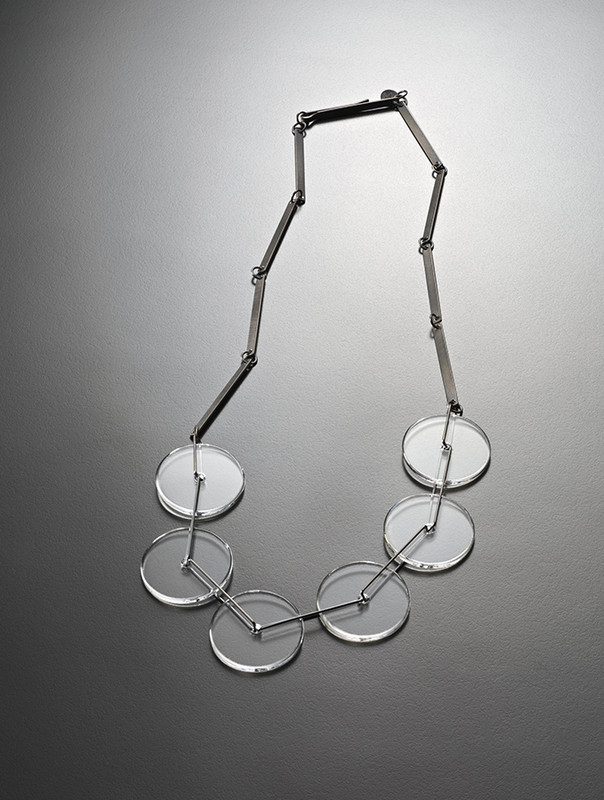 She also began working with titanium, a metal that is light and heat resistant that enabled direct combinations of glass and metal parts, with no hidden joining mechanism – each join became integral to the design of a piece, imparting chains a sensual and liquid movement that allowed these necklaces to perfectly fit the curves of the body when worn. After graduating, Tilden received an Australia Council-funded traineeship and relocated to Melbourne, working for two years with goldsmith and designer Susan Cohn. 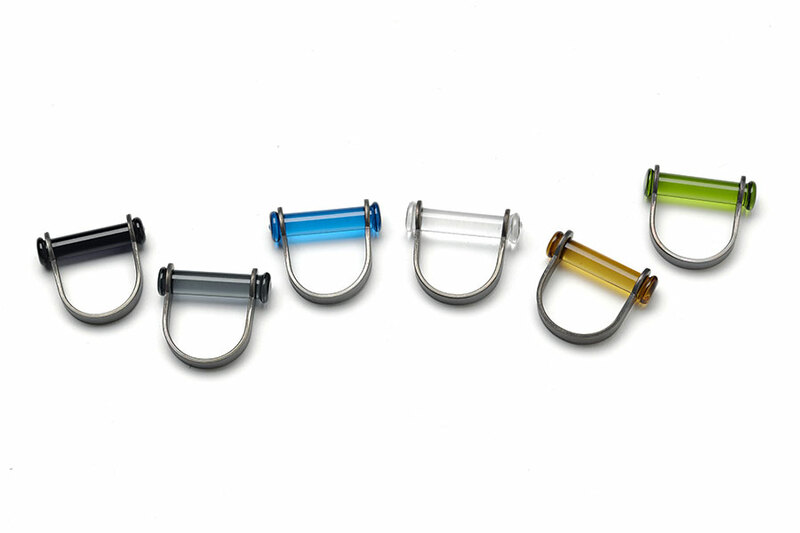 This broad craft and design training established a strong foundation for her innovative and cross disciplinary approach in the dual fields of studio glass and contemporary jeweler. 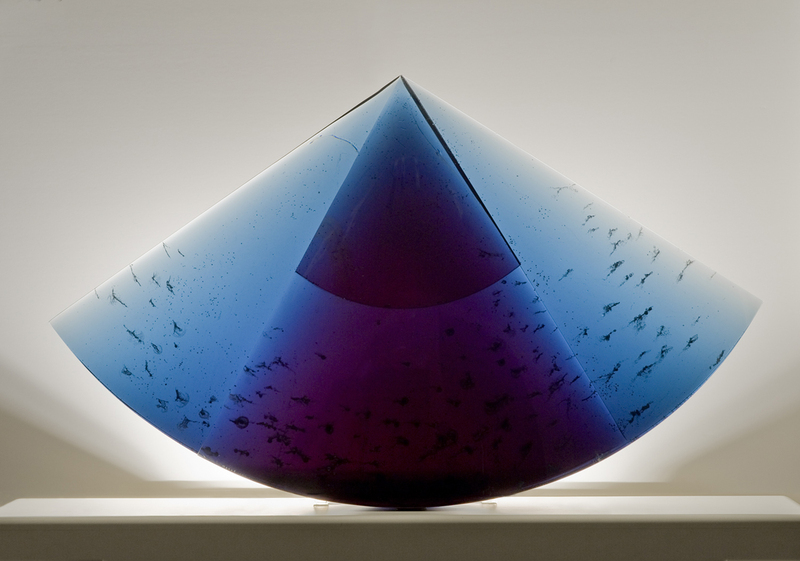 Tilden’s early work received an enthusiastic response and was acquired by a number of collecting institutions, including the National Gallery of Australia and the National Art Glass Collection. 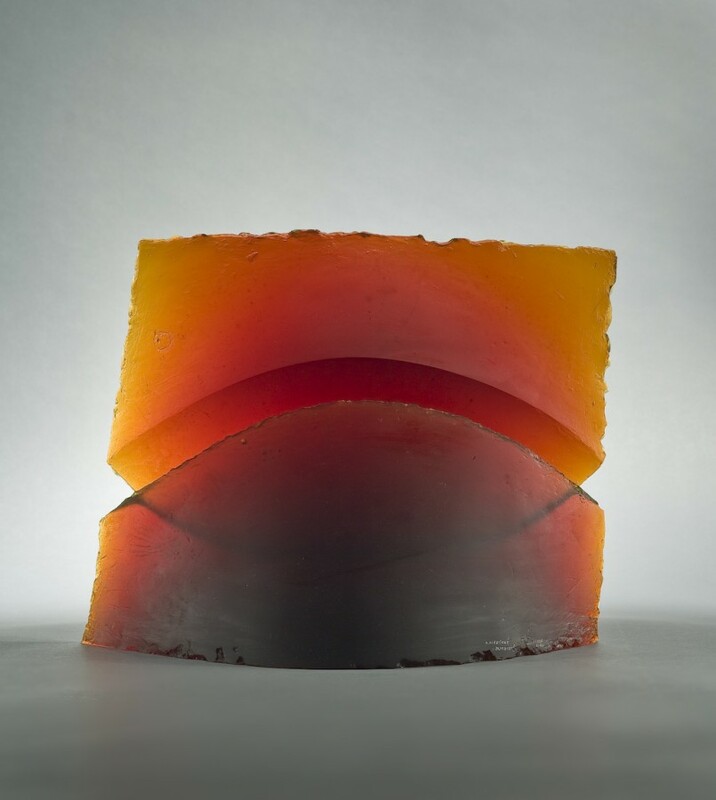 It is now represented in every Australian state museum collection, as well as the Corning Museum of Glass, the Toledo Museum of Art, and Musée des Arts Décoratifs, Paris. Through researching and making new work for a number of solo exhibitions, Tilden has drawn inspiration from the history of technology, mechanical devices, industrial production and the built environment to develop a distinctive visual language. She references the visual language of the machine made to examine the value of handmade objects in a world full of mass production. 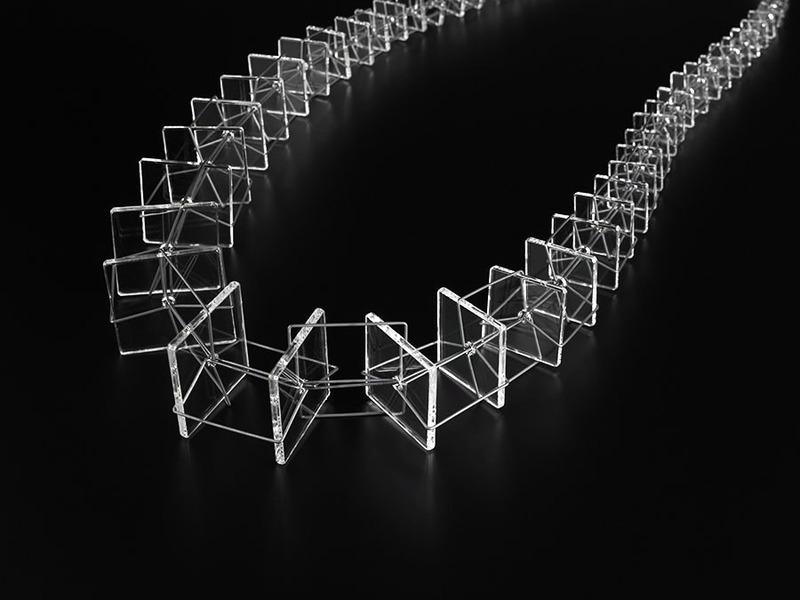 Her focus on the power of repeating elements, and jewelry conventions such as gradation, began to find parallels in architectural representations such as diminishing perspective and led to shifts in scale and proportion. 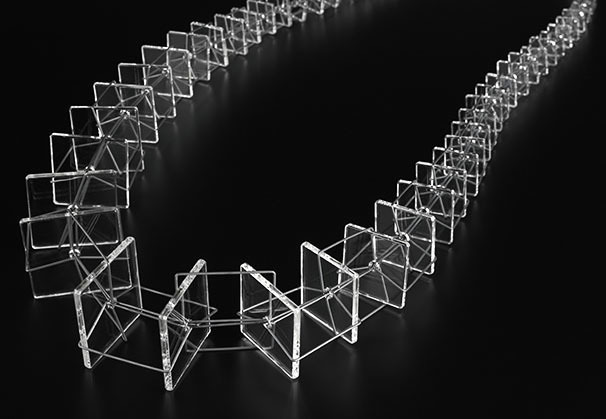 Necklaces such as ‘Graded Palais’ emphasize the ‘micro’ scale of jewelry and ‘macro’ scale of architecture – both of which are always relative to the body. 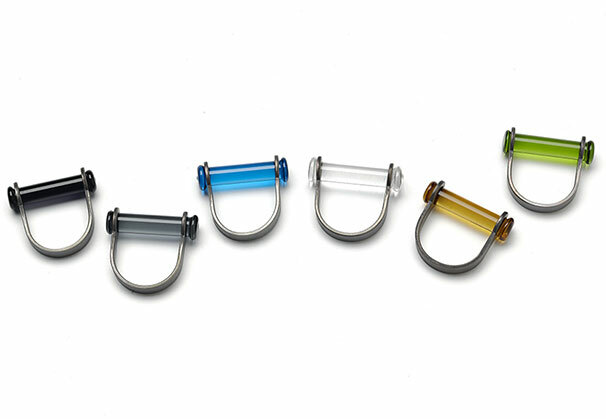 In Tilden’s current collection of glass and metal jewelry, ‘Clear Cut’, there is a shift to a less literal and more intuitive interpretation of machines and architecture. 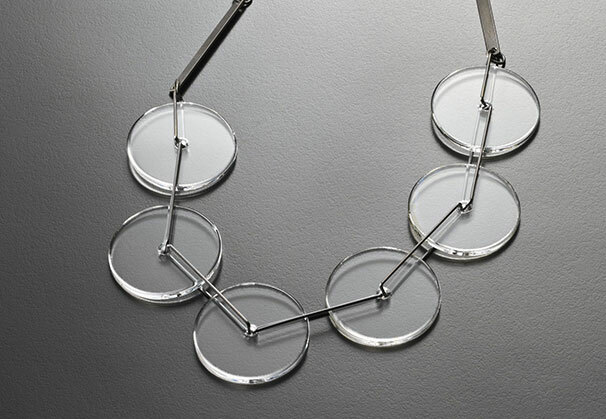 Every piece draws on the circular form, emphasizing transparency, balance, movement and the particular beauty of clear glass. 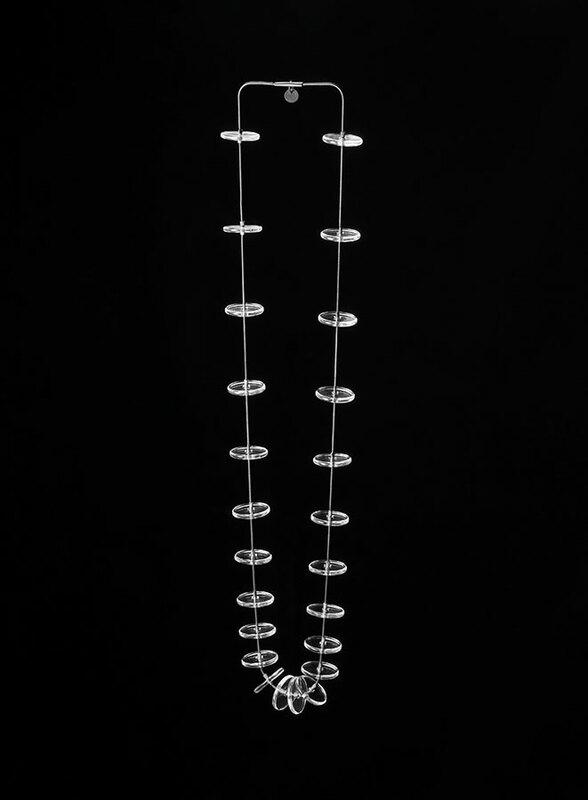 On display, examples from this series such as the "Flow" necklace feature curved lines of light captured by glass which come alive when worn, moving effortlessly, molding to the body and containing light in a continuing shift and bend of refraction. 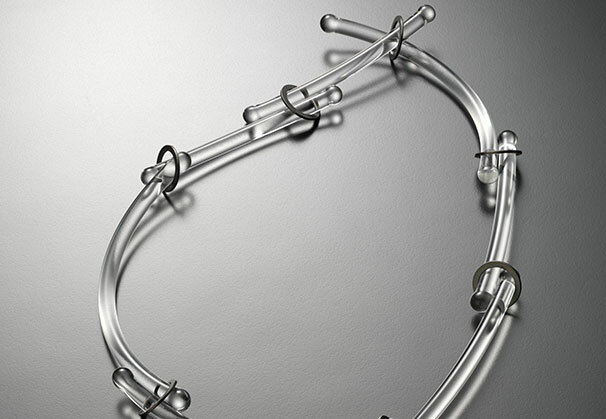 The "Flow" necklace was selected for the 38th Corning Museum of Glass New Glass Review. In 2016, Tilden received an Australian National University Postgraduate Award Scholarship for practice-led PhD research. 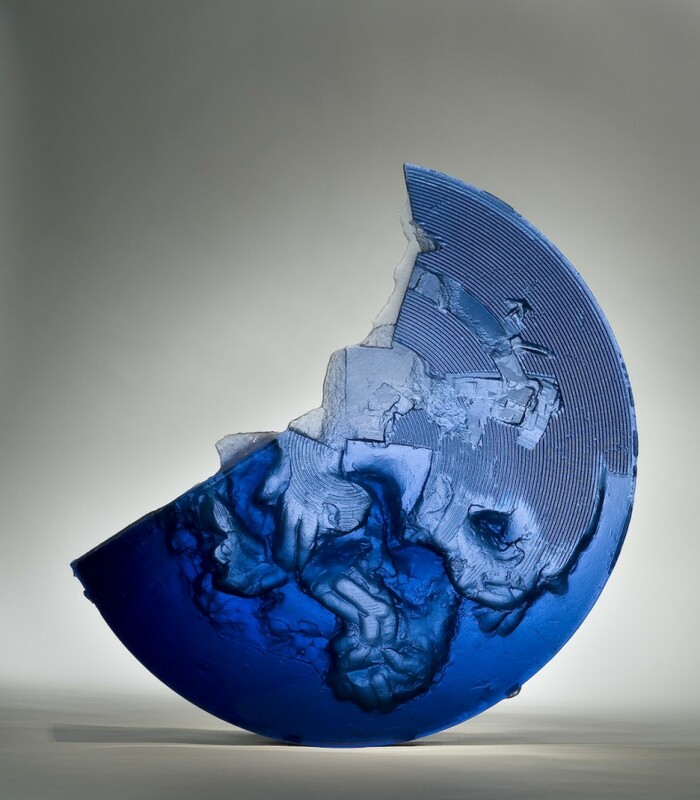 Returning to the School of Art Glass workshop now headed by Richard Whiteley, she will continue to explore intersections between traditional hand making, digital technology and new industrial glasses. We are grateful to Hedone Gallery for providing the Artist of the Month.